Amazon Prime Photos has made it easier on families wanting to store and share their pictures. Many families are spread out across the country and sometimes around the globe. Amazon has created a solution to easily share photos to keep everyone in the family up-to-date on what’s happening. Sure, a traditional photo album is great, but being able to store and share pictures online saves space and makes them available to anyone, anytime. Take a peek at the photos on your phone. If you’re like me, you have hundreds, if not thousands, of pictures. Storing these little pieces of memories on your phone is tedious, especially when uploading to another the photos to your computer or another website. Amazon Prime Photos is a convenient solution that can help free up space on your phone and take the tedious out of uploading! Amazon has made it easier for families to stay in touch and share their memories. The Family Vault allows unlimited photo storage and the ability to share it with five family members or friends. The great news about this is that family sharing comes at no extra cost. 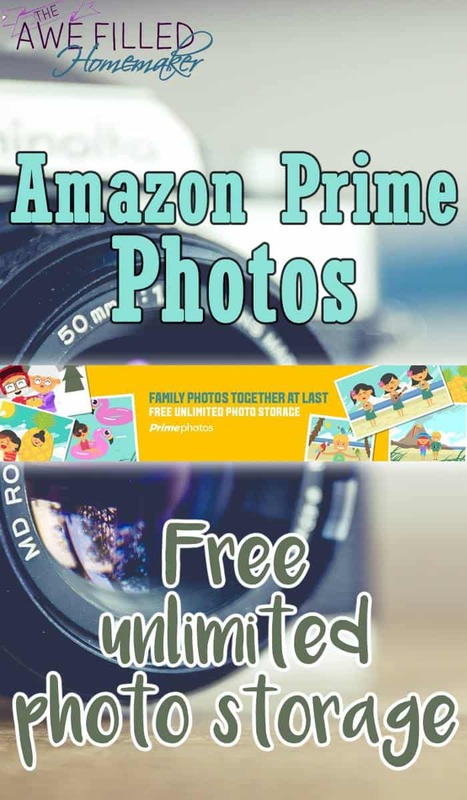 As an added bonus, if you’re an Amazon Prime member, Prime Photos is totally free! For the frugal buyer, this is a great deal! You can share all of your precious photos freely and securely from a computer or mobile device. Amazon has taken the time to develop a smart search technology to improve their photo search. For example, Prime Photos includes a new feature called Image Search. The Image Search feature is designed to make searching through thousands of photos much easier. You can search for people and/or places and get results that are most relevant to the term you’re searching. Again, these are features only exclusive to Prime members! Additionally, with the new Prime Photos app, which you can download here, you can now order prints. These prints can be for regular photos, greeting cards, photo albums, and calendars. You only have to select the ones you want to print from your Prime Photos app. As a bonus, you get free delivery on the photos. The Prime Photos app is compatible with iOS, Android and Windows. Oh, I almost forgot! Readers here have an opportunity to win a $500 gift card provided by Amazon.com! Are you an Amazon Prime member? Have you tried out the new Prime Photos app and Family Vault? Please share your experience in the comments below. Disclosure: Thanks to Amazon for sponsoring this post and providing prizes for the giveaway! Trademark: Amazon, Fire and the Amazon Fire TV logo are trademarks of Amazon.com, Inc. or its affiliates.